It’s summer time and we look to eat light. My husband found a curried hummus recipe and he made it for the first time. It turned out quite good except he forgot to saute the garlic lightly so the raw garlic sting was a bit of a put off. I am not a big fan of hummus as I don’t enjoy the sourness and the bitter after taste. So I was excited to try his version with a simple modification based on my tastes. If you are like me, who loves to eat healthy but does not stick to the norm’s of cooking, then I think you will enjoy my recipe. I decide to saute the onions and the spices along with the garlic to give it a more wholesome taste. I knocked the lime/lemon juice as the yogurt had the sourness. But like I said before, “Be creative, you know what you like and how you like it”. Heat oil in a pan. Add the onions. Saute for about 3-4 minutes till lightly translucent. Next add the garlic and saute for 30 seconds. Finally add the xacuti spices and saute for a quick minute to cook off the spices rawness. Take of heat and add the drained garbanzos / chickpea and mix it well. Add salt to season the beans. 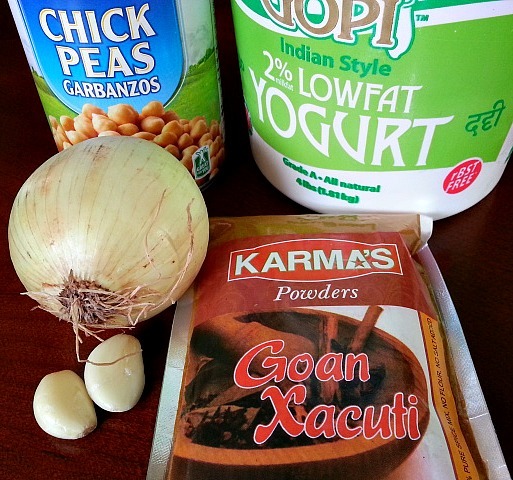 Pour this mixture along with the yogurt in your grinder and puree it till a smooth paste. 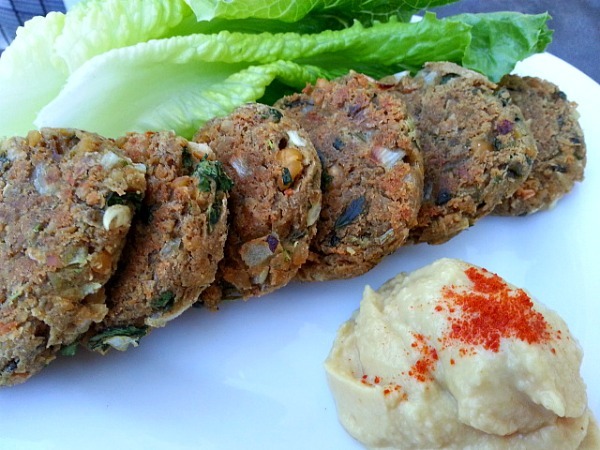 Enjoy it with fresh-cut veggies, pita bread or along with a Baked Falafel wrap. Keeps well for about a week in the refrigerator. I am sure that this is the best hummus I’ve ever seen. It looks so delicious. Good idea to add curry. Wow, This looks heavenly. 🙂 Will definitely try ! Thanks Chitra! It was a nice twist to the regular hummus flavor. MrsRatfire, you are welcome anytime :-). Have a great weekend! I am sure sauteing the onion, garlic and spices added a ton of flavors to the hummus. I can almost smell it 🙂 Looks vibrant! 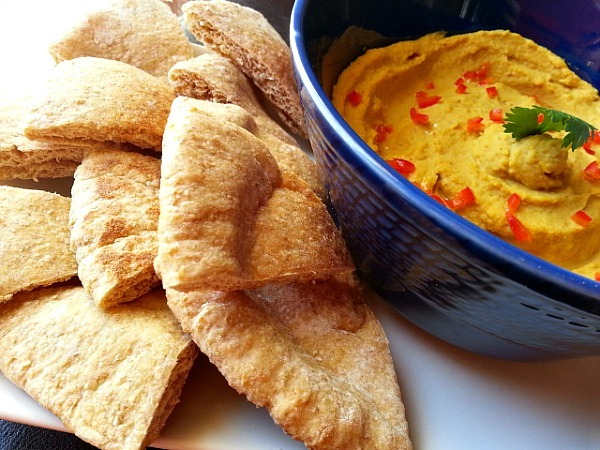 I love hummus and I will be trying this recipe out and definitely looking for more. You are welcome Shabeeha :-). And thanks for your kind words. Love yur food! My like buttom fails on my phone! Sounds delicious! I just came back from morocco and bought a spice mix (ras al kalout or something) and I think it might go well wirh a hummus recipe! I loved how you modified this to suit your own taste. I don’t understand why people spend so much money on hummus in stores, when it is so easy and cheap to make your own PLUS you can tailor it to your own tastes exactly! I love hummus and make it often but I understand your bitterness issue. Sometimes, for an extra kick, I add chipotle. It covers the bitterness – assuming you like it spicy. Oh…Thanks for the tip, we love spicy 🙂 Yeah, am not too fond of the bitter after taste and I think it is because of the tahini sauce that some hummus are made with. This sounds lovely! Cannot wait to try it. Thank You so much :-). I hope you do give it a go. 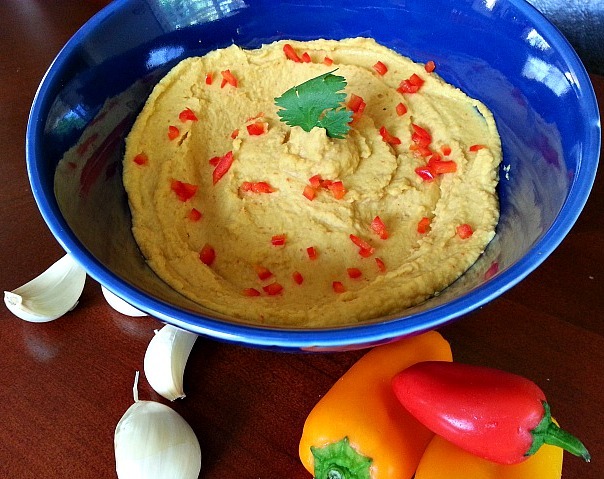 Loved the idea of adding spices to the hummus! 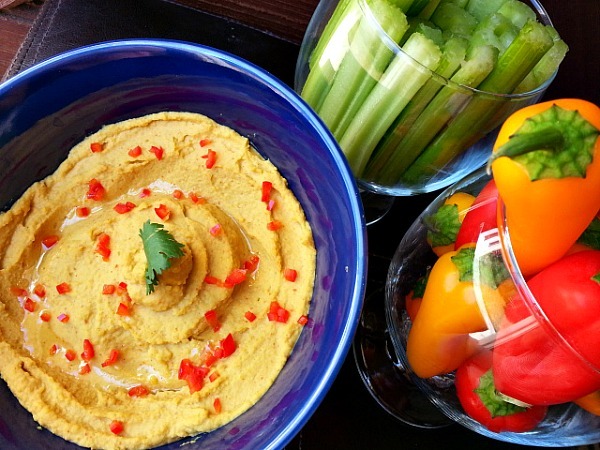 We ARE big fans of hummus and this looks like it has so much flavor! fun recipe!